Serving divorce papers via social media! December 24, 2012: Attorney Paul Staley of The Law Office of Paul Staley in San Diego decided to serve a petition for divorce on behalf of his client via Facebook. This is the first time he knows of that an order to have divorce papers served via Facebook has been granted in California. Staley believes that as people depend less on newsprint and more on electronic media for information, lawyers will see a trend developing that recognizes that fact. He expects court rules to change so that they embrace the reality that service of legal papers by electronic means is becoming the most reliable way to be sure the defendant gets actual notice of the legal proceedings. Apparently, his client’s wife had left the country some twenty years ago and couldn’t be located. Staley did a research on the respondent via Facebook and found a handful of women going by respondent’s name. California Law states that the petitioner – in this case Staley’s client – can in some special circumstances publish the proceedings in a newspaper to give notice to the respondent. Problem was the wife was abroad, very few people read newspapers so this attorney decided to try and persuade a judge to allow him to serve the summons on the Facebook platform. The judge agreed. Of course, the client got his divorce and he’s happy now. That’s how Staley and his staff do their job for their clients. They’re zealous, creative attorneys who would find some unlikely ways of getting the job done to make sure that their client is happy. Divorce and child custody cases in California can be messy and traumatic. 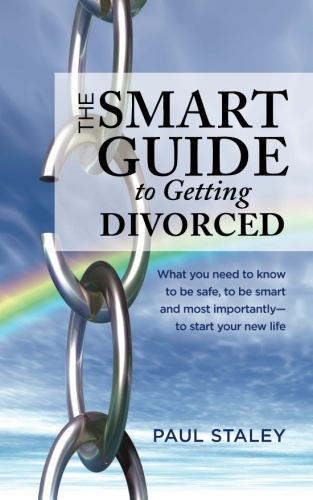 Staley acknowledges that most cases involving divorce, child custody disputes, child support and even family violence may add too much strain in any individual’s life. He points out that families who have to go through this experience are usually confused, sad and depressed, “because they feel helpless.” He doesn’t advise his clients to STOP getting angry, nor does he patronize or pontificate. Instead he aims to empower clients to enable them to have new and happier lives. While he believes that the best revenge for his clients is “living well” rather than getting bitter or angry — he also believes that anger cannot be avoided until his hurt and angry clients are given enough help to transform themselves and live more productive lives. He’s known as one of the most unconventional among lawyers in the San Diego Family Court but he doesn’t mind because he wants things done as simply and as painlessly as possible. He tells people, “I want to limit your stress”, knowing that San Diego Family Court litigation can be emotionally draining. He makes it a point to avoid escalating conflict between the two parties when it can reasonably be avoided. But if it comes to a showdown in court, no client has a more zealous or loyal ally than Staley and his team. Next post: San Diego Child Custody Lawyers: What is joint custody?